GOTHENBURG Sweden (Reuters) - With headlights shaped like Thor's hammer and space for a humidity-controlled cigar case, Volvo's new cars are sporting luxury features and designer glitz to catch the eye of the booming Chinese market and shed their safe-but-dull skin. The XC90 SUV launch on Aug. 26 will be make or break for a company moving into a premium market dominated by German rivals. It will be the first fully new car under Chinese parent Zhejiang Geely Holding Group Co [GEELY.UL], which bought Volvo from Ford Motor Co four years ago, and heralds the revamp of its entire product range to more upmarket models. It follows a five-year, $11-billion (9 billion pounds) investment programme aimed at doubling Volvo sales, which for two decades have been stuck at around 400,000 cars a year. It hopes the new line will reverse declining sales in the U.S., but must persuade customers to spend up to 100,000 euros for a brand many associate with functional family cars. "Prices will be the same level as competitors like the Germans," said Volvo CEO Hakan Samuelsson. "Customers should not expect to buy them cheaper than an Audi." The new cars aim to reconcile strategic tensions in the 87-year-old carmaker, which remains wedded to Scandinavian understatement, greenness and an emphasis on safety, but also wants to make swanky cars that will seduce affluent Chinese customers away from the likes of BMW , Mercedes-Benz and Audi . The XC90 has anti-collision detectors that will brake the car on dangerous left turns, and the company says its four-cylinder engine is an industry beater in terms of combining power with low emissions. But the first preview of the car, for a small group of journalists at the company’s headquarters in Gothenburg, shows design is to the fore. The seven-seater features a sleeker logo, and inside are Scandinavian touches of light wood and leather, a tablet-like, touch-screen control panel, and a minimalist dashboard. The head of the gear stick is Swedish crystal. "This is Scandinavian design without the bling-bling," said chief marketing head Alain Visser. "The XC90 is a signal that we are here as a premium brand. It is a signal that other models are going in that direction." The XC90 will be followed next year by a S90 sedan, aimed at the United States and China, which could become the world’s biggest premium market by 2020. Last year Volvo owner Li Shufu was reported to have called Volvo’s interiors "too Scandinavian", and the rollout of the new cars will show that Volvo has accepted many of the Chinese demands to make its cars more appealing to China’s wealthy. "The Chinese wall has thawed," said Philippe Houchois, an analyst at UBS. Li’s influence can be seen in the XC90 four seater, which is aimed at Asian executives with chauffeurs. Product strategy head Lex Kerssemakers recounted how Li visited the Gothenburg headquarters about two years ago and sat in the back seat of a XC90 prototype. "It doesn’t work. I don’t have enough space," he complained. Kerssemakers told his team to take the front seats and put them in the rear, and take everything out so they could redesign it to create as luxurious an environment as possible. "That would never have happened without a Chinese owner,” he said. "Two or three times a year he comes, he has an opinion,” Kerssemakers said. "Why don’t you try this, try that? Especially interior wise ... this is what my friends like, and they are rich customers." CEO Samuelsson denied there had been any split, and said the company had been largely given a free hand. "Our traditional values are getting more and more important," Samuelsson added. "The one-baby policy makes safety important." He said the company would also emphasise in China, where poor air quality sometimes makes headlines, that its vehicles come fitted with air filters to keep the fumes outside. Some analysts say taking on established German premium brands is a risky proposition for Li and Volvo. "It is unproven as to whether customers will accept Swedish understatement as a luxury," said Patrik Strom, assistant professor at the University of Gothenburg. "But it is also risky to become too closely associated with China and lose that Swedish identity." Sales figures will be the acid test. Without new models, sales in the United States slipped 10 percent to 61,000 last year - roughly half of what they were a decade ago. Samuelsson is now aiming at selling 100,000 cars a year by 2016. "The U.S. is very critical," Samuelsson said. "Without a strong position in the U.S., we are not a global brand, we are not a premium brand. That has to work." 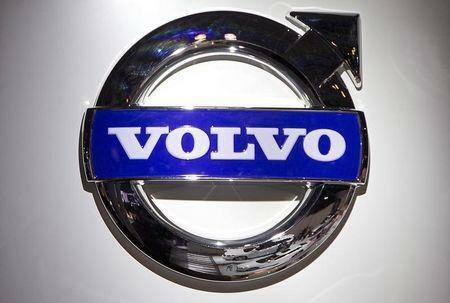 Volvo also sold 61,000 cars in China last year, but that was a jump of nearly 50 percent. Samuelsson said sales could beat its 80,000 target this year. Volvo has for decades been hampered by currency headwinds in times of dollar weakness against the euro and Swedish crown as the cars it sells in the United States are made in Europe. Samuelsson said the company would start exporting cars from China next year, mainly to the United States. U.S. production has been discussed but was currently off the table, he added. Volvo CFO Hans Oscarsson said moving into the premium range would eventually allow Volvo to reach margins of around 8 percent, compared with 1.6 percent last year. But for the moment, investment was the main task, so far funded in-house.